I just finished a new dress for my granddaughter, Jenna Leigh from Bonnie Blue Designs. Farmhouse Fabrics carries quite a few kits, and I couldn't resist this color combination. The pindot exactly matches the flower centers, and the mint green ric rac and buttons match the tiny bits of green in the flowered fabric. a braiding foot. Might just work! And boy, did it ever! 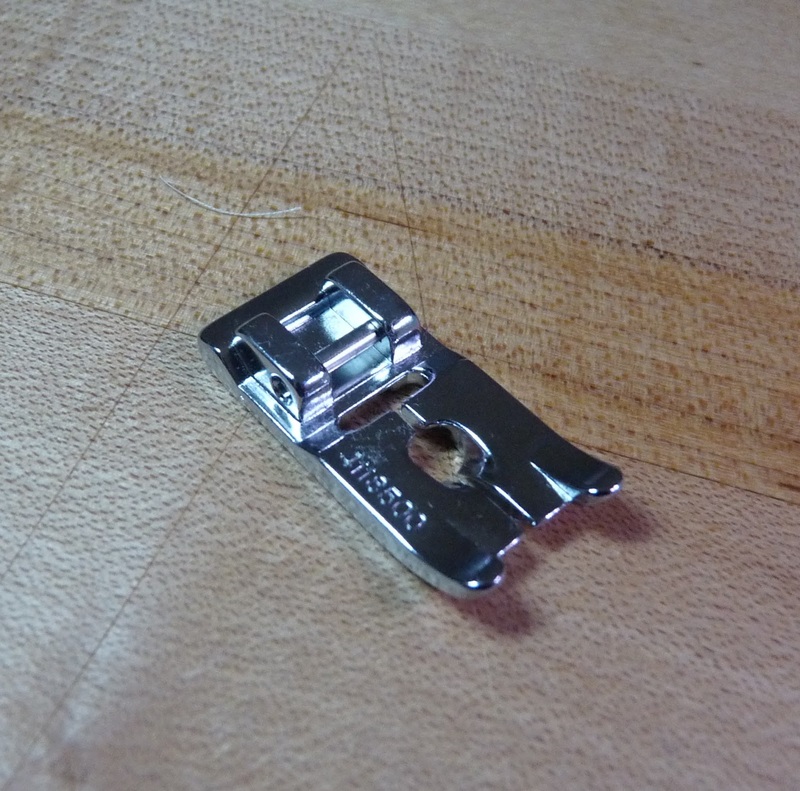 the opening in the foot is just the right size for baby ric rac, which is just about 10 cm wide from tip to tip. Perfect application! And I was able to sew it on quite a bit faster than by using a normal sewing foot. Close up of the back with those huge buttons. 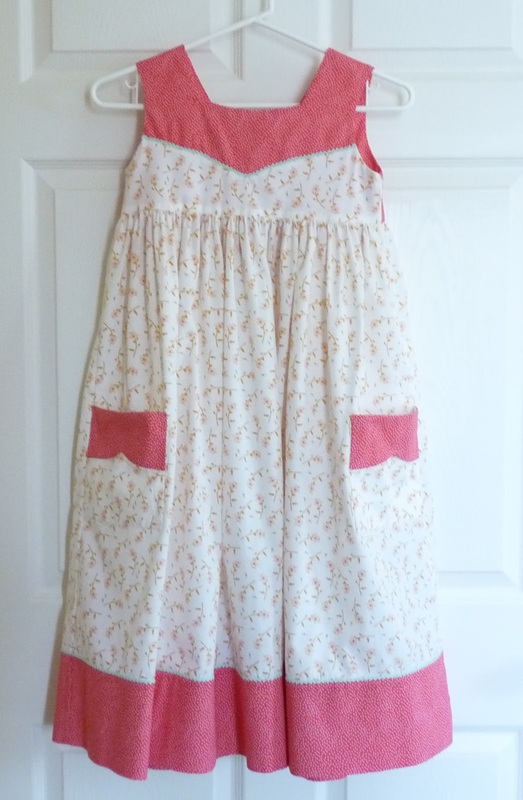 They are 1 3/8 inches wide (35 cm), and in my opinion, way too big for this size 7 dress. But I knew I probably wouldn't be able to find anything that matched locally. 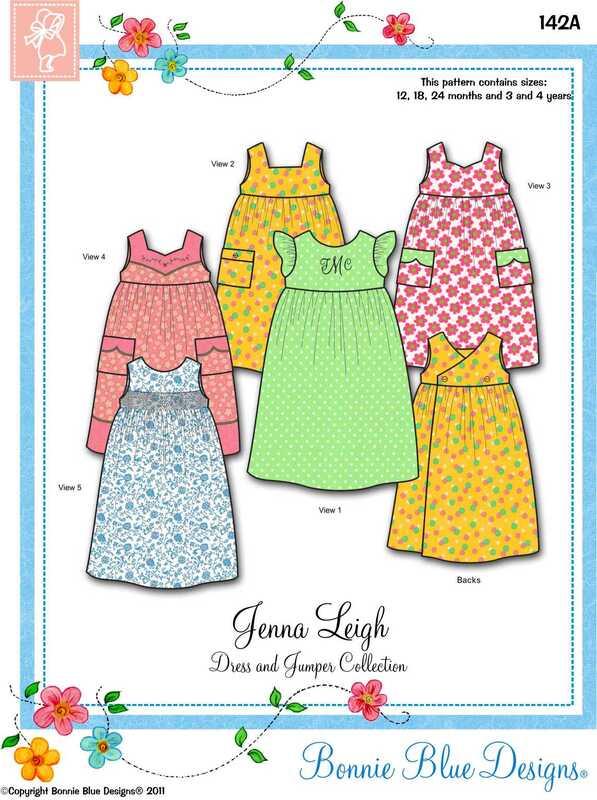 Cute dress and great fabric selections. 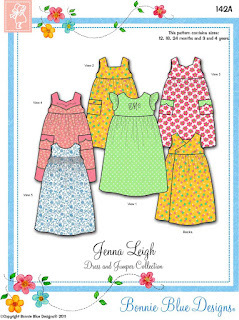 The fabrics are high quality quilt cottons, the pindot is a Michael Miller, the floral is from Art Gallery Fabrics. As I mentioned, the fabrics, buttons and ric rac all coordinate beautifully. The pattern is not well written, containing omissions and outright mistakes. The most annoying are for this view there is no instruction for the yoke side seams but after searching the pattern instructions, I was able to find the yoke side seam instructions for View 1. 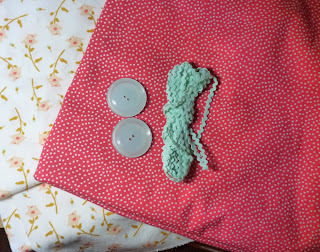 The yoke yardage is insufficient, but luckily the pindot has no nap, so I was able to squeeze the the fabric pieces in. 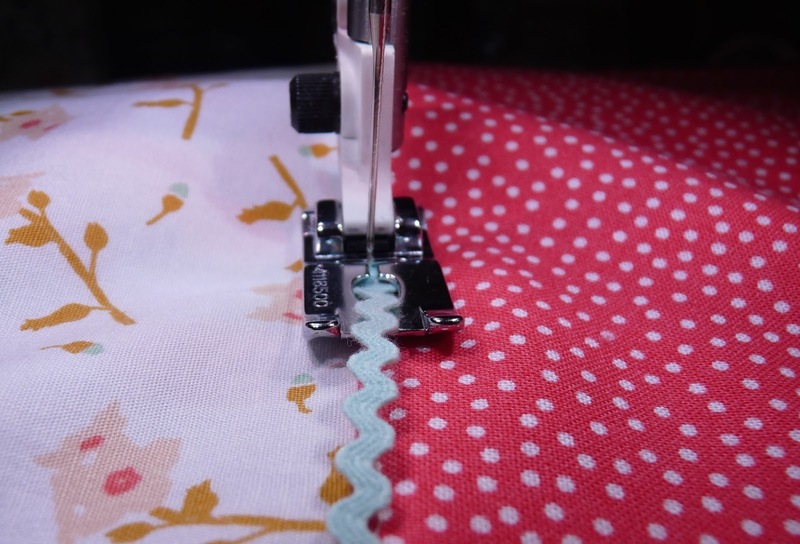 If the fabric has a nap or a directional design this would not be possible. There was no marking for a center back seam, which I've never seen before. There were a few other issues, but I'll save those for when I write a review on Pattern Review. An experienced sewer can work through all these problems, but when I pay $14.00 for a pattern, I expect it to be error free! Tomorrow morning I'm flying to California to help Mr CS finish packing for our move. We need to vacate the house by June 30. We will be driving fairly slowly back to Colorado, as we will have Oscar, the cat, who is 19 years old and not used to car drives. I hope to have a couple of projects to work on and post about while in California. Recently I have decided to switch to cloth napkins instead of paper. I'm not entirely sure why, as it does entail quite a bit more work, washing and ironing them every week. But being retired, I have more time for that sort of thing, right? 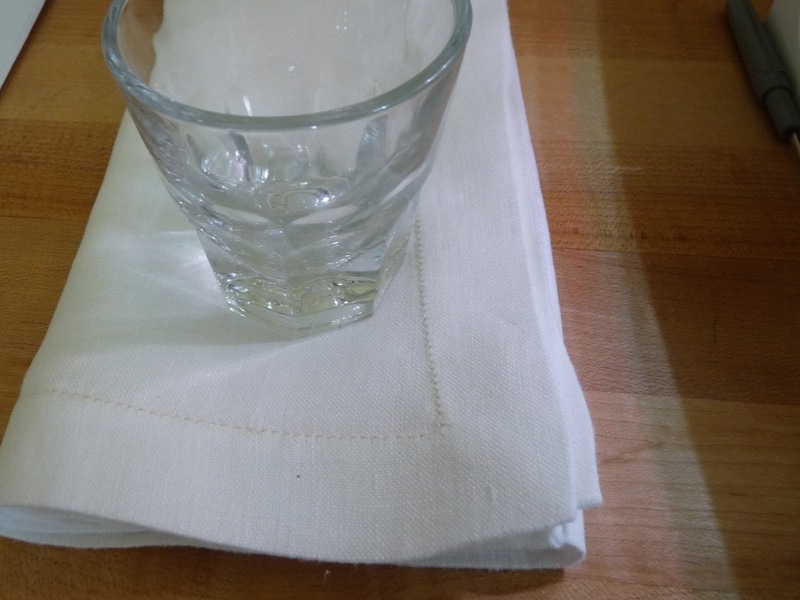 I decided to make 12 large, linen napkins, finished at 20 inches (51 cm) square. 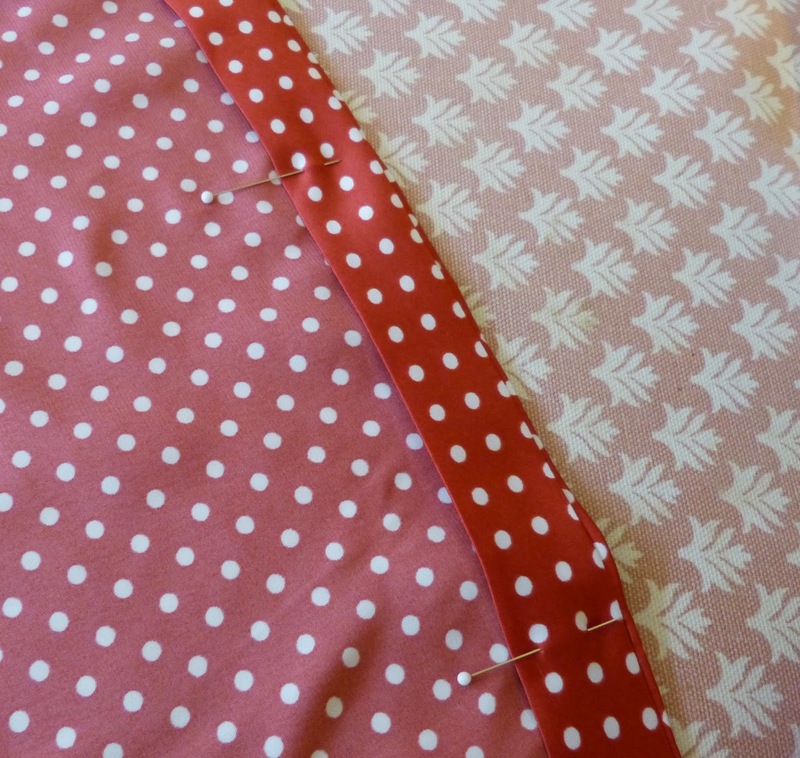 I also wanted to hem them with a pin stitch, to make them look just a bit nicer than with a plain topstitched hem. This first piece is tested with several thread and a size 120 jeans needle. From left to right is Mettler 60 weight, YLI 70 weight, and Madiera 80 weight. Then I tried a wing needle, with the same thread sequence. The wing needle makes just a tiny bit bigger hole, but I'm afraid of damaging the fabric, so I decided to stick with the jeans needle and the Madiera 80 thread. I know this is hard to tell from these photos, but I don't have a tripod with me to help stabilize the camera. Notice the sample, how it is skinny on one end and fat on the other. This is due to sloppy cutting at the fabric store, which annoys me no end. I alway build in a bit more than I need to account for this. 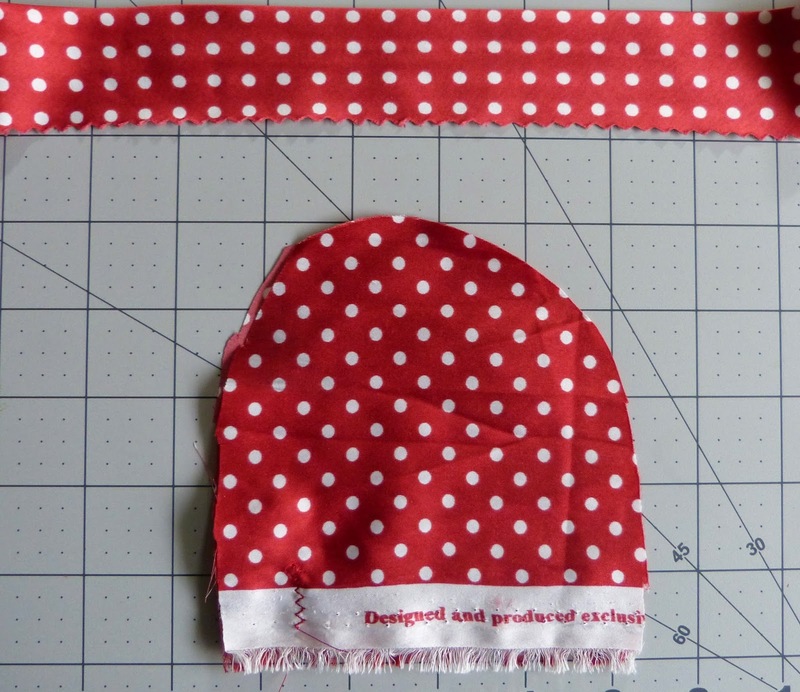 When I cut this fabric, I did so by pulling a thread, in both directions. I don't expect a store to do this, but I would appreciate better cutting. 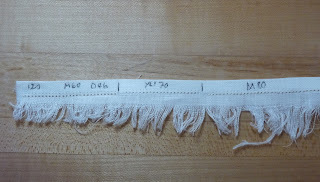 I cut the fabric 22 1/2 inches (57 cm) in diameter, to allow for a 1 inch (2.5) hem with a 1/4 inch (0.6) turn under. 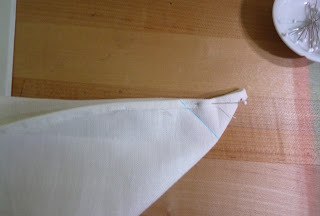 To make a nice mitered corner, I pressed the hem all around, then opened the pressed edges and pressed the corner in right at the edge to be hemmed. 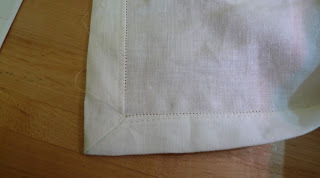 Then I turned it right sides together, and marked the seam line. It was pressed, but I had trouble seeing it on the machine while I was stitching. Much easier with the line. Perfect miter! Well, it needs to be pressed a bit better. On the fourth napkin, not even an inch from the end, I ran out of thread. So until my order comes in sometime next week, this project is put on hold. Which is just as well, as I have other projects that are stacking up. I found that I needed to baste the hem as this linen seems to have a tiny bit of stretch to it. This is one project in which I'm ironing more than I'm sewing. I used the pin stitch on my Husqvarna Viking Diamond Royale, D46, reversed to be able to use it with the D hemstitching foot. Also, I stitched wrong side up. I made a sample using black thread, and there is a difference between the right and wrong sides with this stitch. 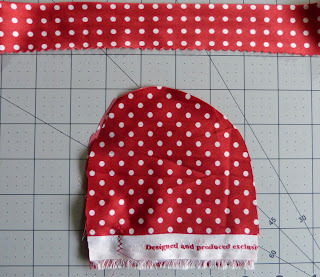 When I tried to stitch from the right side, I kept missing the hem and had to secure the missed spots by hand. 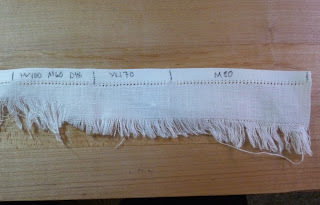 Since I can barely see the difference using ecru thread on this off white linen, I figured what the heck, I'll stitch from the wrong side and at least get all the stitches on the hem. While in California last week I finished the dress. I don't mind doing hand work, in fact, I rather enjoy it, so I hand picked the under stitching to the neck seam allowance. Not quite a perfect neckline, but I'm getting better at it. 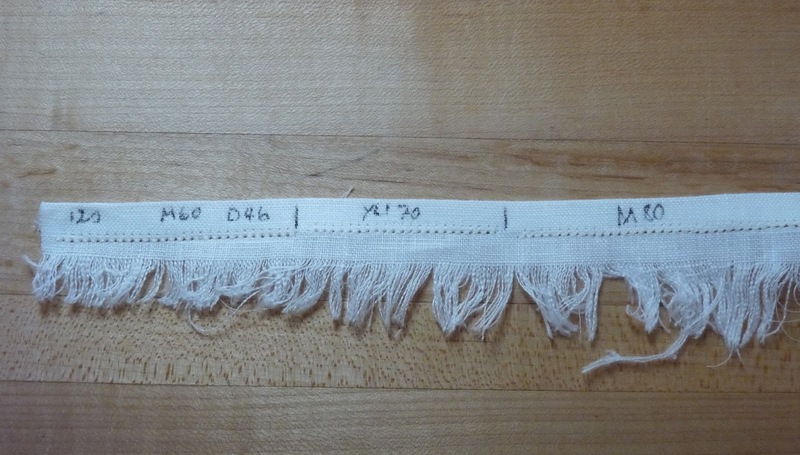 Then I realized that I wanted bias strips for the hems but didn't have a ruler with markings on it, as it's packed away in the storage unit. 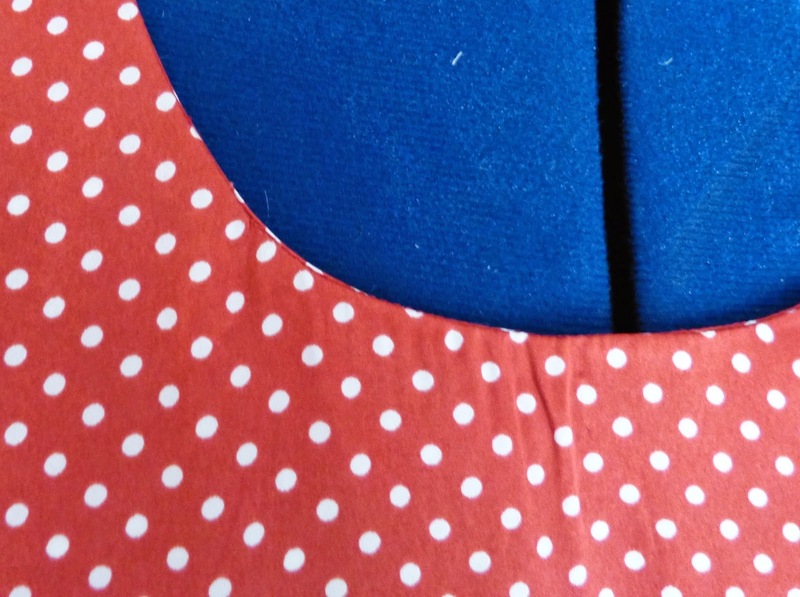 So I thought and thought, looked at the fabric carefully, and realized that the white dots are perfectly aligned on the grain, which means that they are also perfectly aligned on the bias. You can see this in the photo of the scrap, just follow the 45º line on the mat. So I was able to align a clear piece of plastic (actually, the sewing machine extension), and cut along the dots at a 45º angle, to give the bias as shown in the top strip. I sewed the bias to the hem, pressed it under so the seam was on the inside ever so slightly, and hand picked the hem. 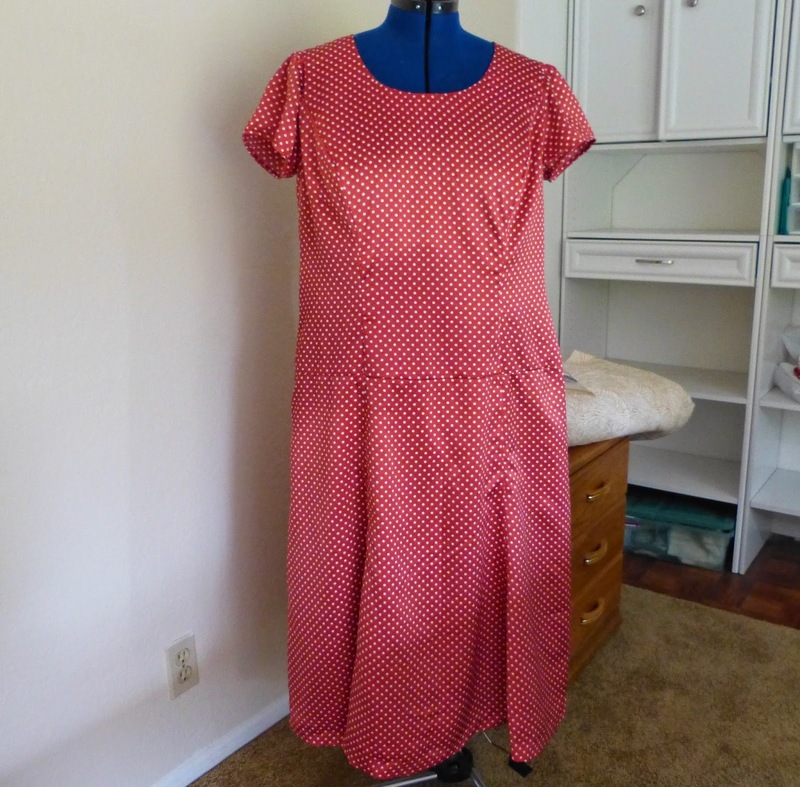 This photo shows both the dress and the lining hems. 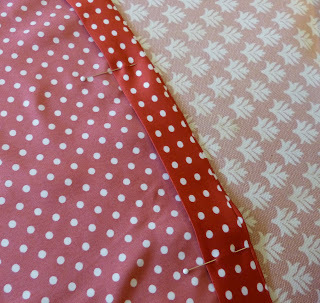 I turned the lining hem so the right side showed against the right side of the lining, for just a bit of a fun touch. Yes, the dress looks somewhat huge on the form, but that's because I haven't adjusted it for the 18 pounds I've gained. It's definitely diet and exercise time. You can see the empty shelves in the background, almost everything is packed away. I feel somewhat lost without all my sewing things. The photos of me in the dress were terrible! So I won't post any photos until I can get better ones taken.